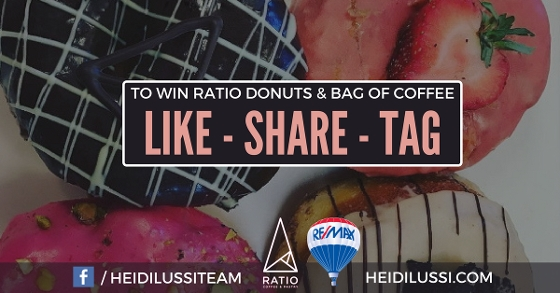 We have paired up with Ratio Coffee and are offering Coffee and Donuts on our new Facebook Campaign! 3. Tag who you would share the donuts with. Contest ends February 23rd, 2017. Good Luck to Everyone!